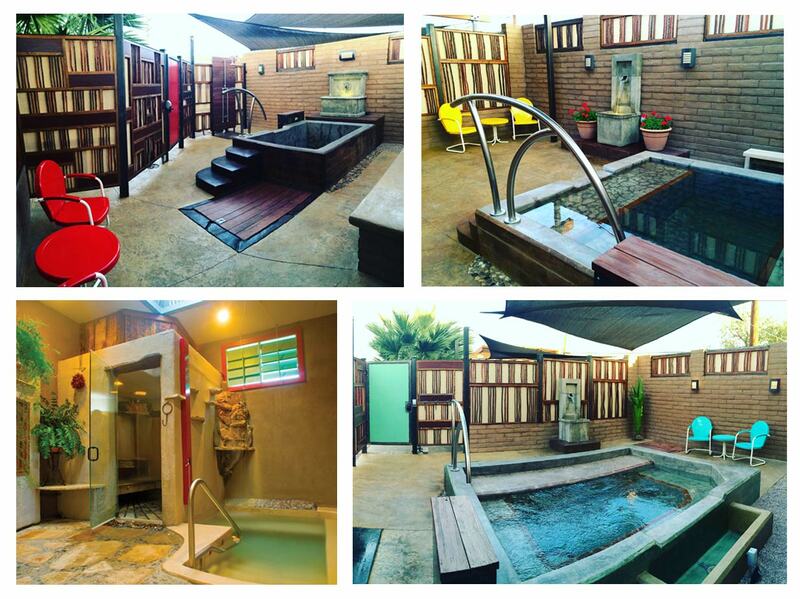 Originally built as a motor court; fully remodeled to open as luxury lodging and mineral baths in 2006. 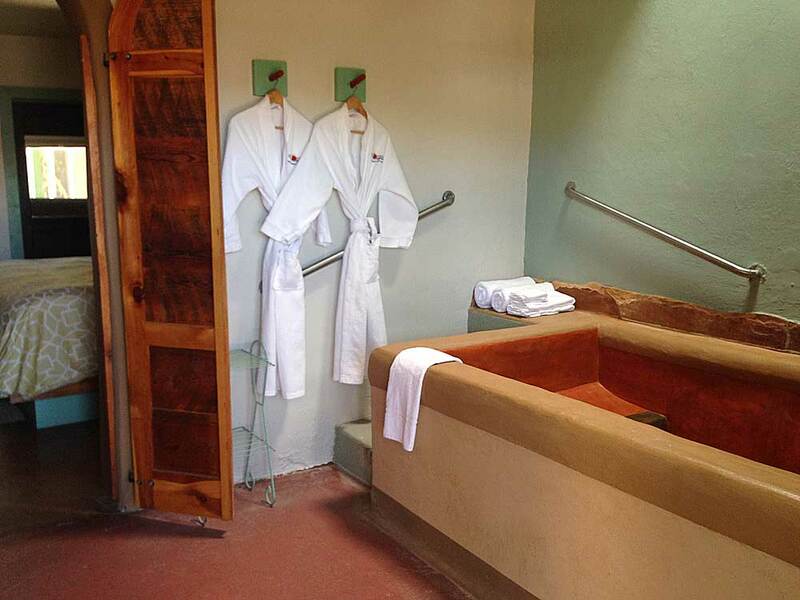 Ten rooms on the Blackstone Hot Springs main property — Roy Rogers, Babalu, Studio, Superman, Twilight Zone, Jetsons, Golden Girls, As The World Turns, Wonder Woman and Star Trek — have private in-room springs. 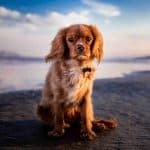 The Studio can accommodate one well-trained dog, please call 575-894-0894 to pre-arrange before you arrive. Two more rooms, Lone Ranger and The Bungalow, are located across the street from the main property. Lodgers in these rooms may use the Historic Baths for free during spa hours, or book a luxury bath at a discount. 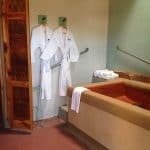 Non-lodgers: $35 for 2 people in the Wet Room and the Turquoise Bath; $25 for 2 people in the Red Bath & Yellow Bath. Add $10 per extra person. See maximum capacity on the Blackstone website. 1 week to avoid credit card charge; 30 days on block room reservations. Blackstone is designed to be a true retreat from stresses in the outside world. All rooms have DirecTV and wireless internet. There is 1 pet-friendly room (The Studio). Early check-ins and late check-outs can never be guaranteed.